I hate the concept of "throwing Hollywood Studios a bone." 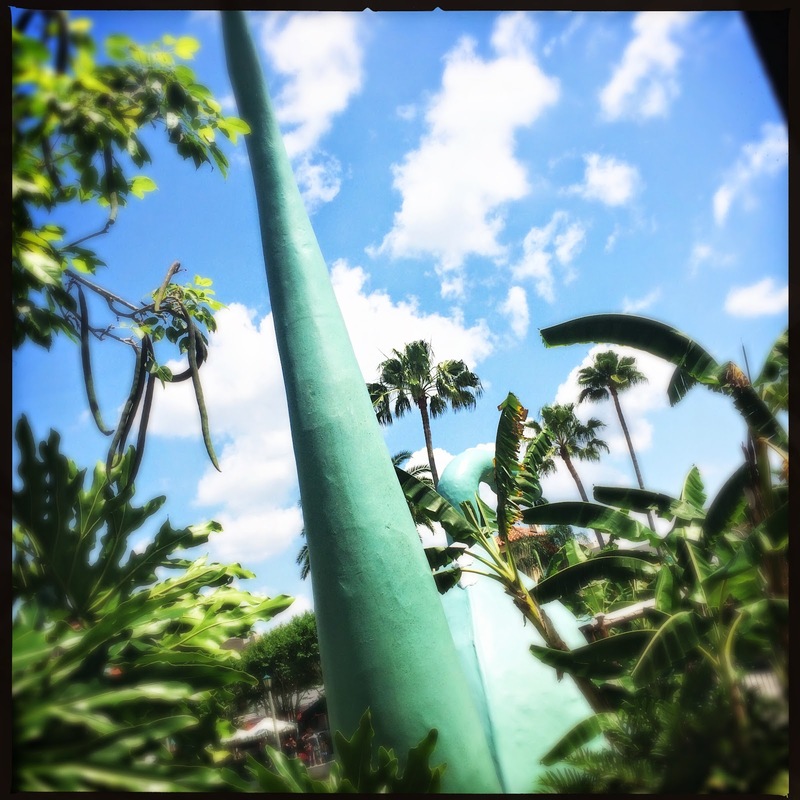 After all, Disney Hipster Blog encompasses the entire Disney realm…movies, parks, art books, music, etc. This of course includes our least favorite Disney park, Disney's Hollywood Studios. I know that this park has its champions (we're looking at you @megadis13…) but we've never really connected with it. I was able to sneak out of 50's Prime Time Cafe as Adam was paying the bill to snap a few photos of this gorgeous park icon. the stage with her creator, Winsor McCay. The themed style of the building is known as "California Crazy"
to attract the attention of potential customers in a big way. 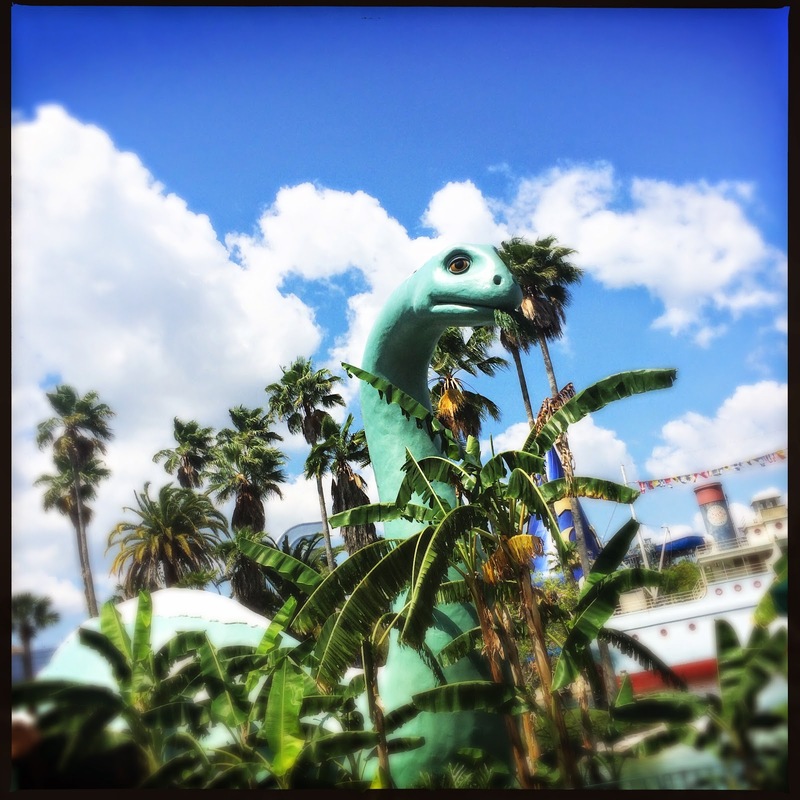 Obviously this post should have been on this blog ages ago…but with our semi-renewed interest in Disney's Hollywood Studios it seems even more appropriate now. 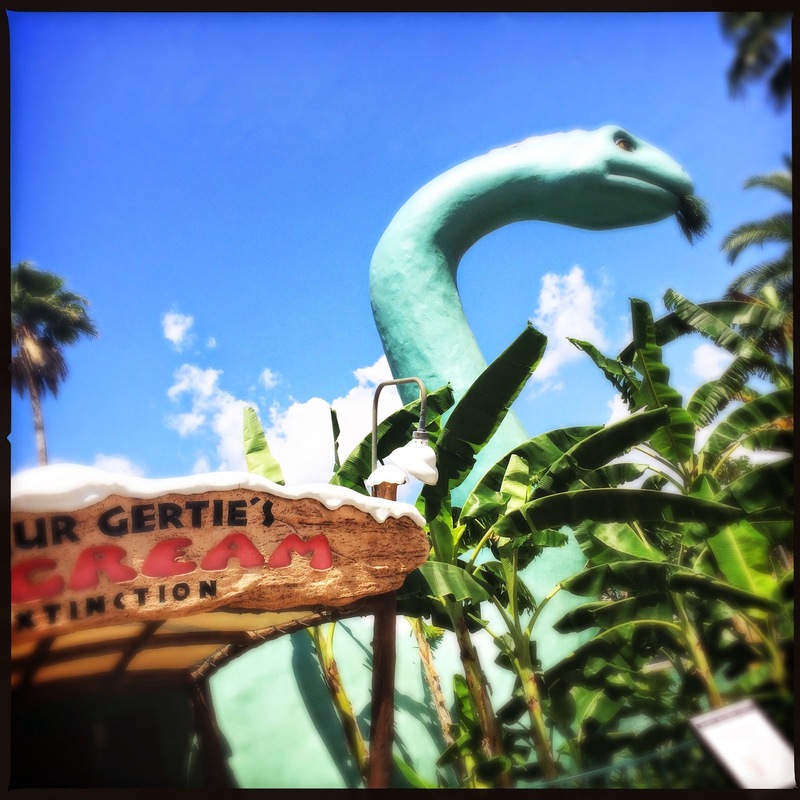 Heres hoping DHS will have some money finally invested in her, and that Gertie will make the cut. Love love love her. I just finished a History of Communication Graphics class where we watched the cartoon Gertie the Dinosaur. If you haven't seen it, look it up. Gertie is fantastically mischievous in it! It's pretty stinkin' hilarious. I couldn't stop thinking about the DHS version, though.